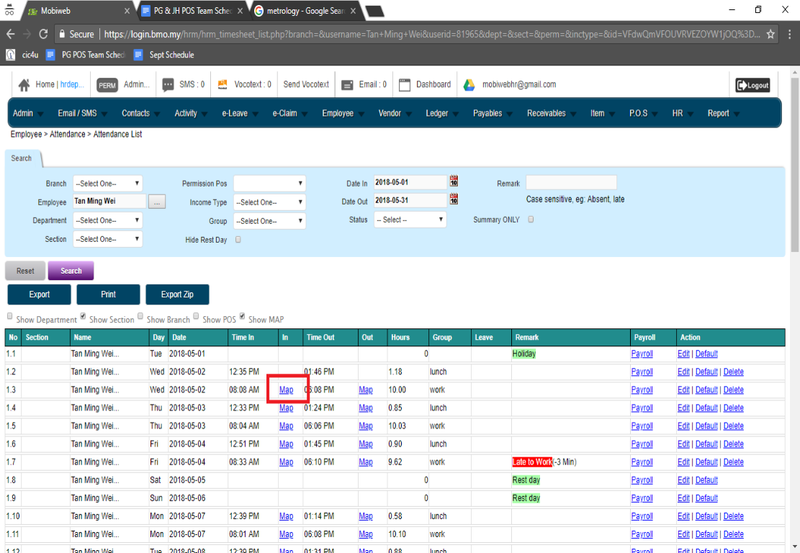 After user submit attendance using Bizcloud Mobile Application, admin will got the attendance details and coordinate which can be viewed in Google Map. 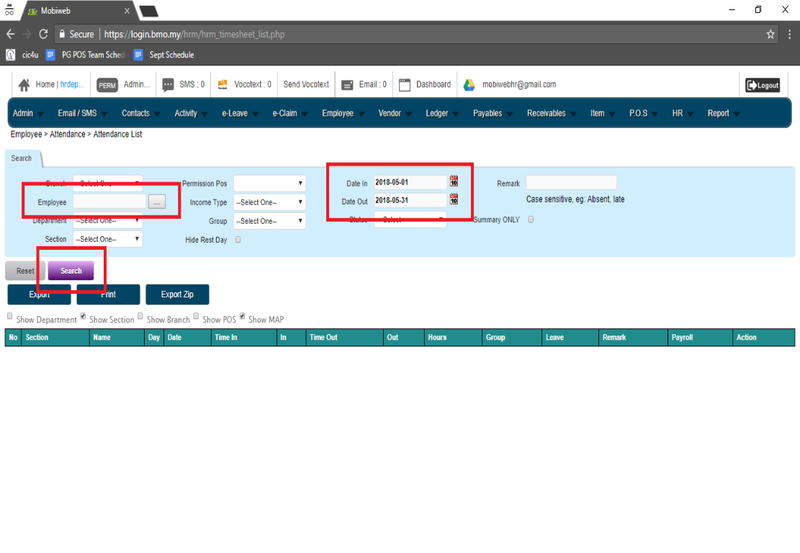 Admin can identify where the staff is at while submitting the attendance. This can save a lot of operation time and improve productivity while given the employee the flexibility of handling customer at the site. Admin can login into their account at login.bmo.my to view attendance list. 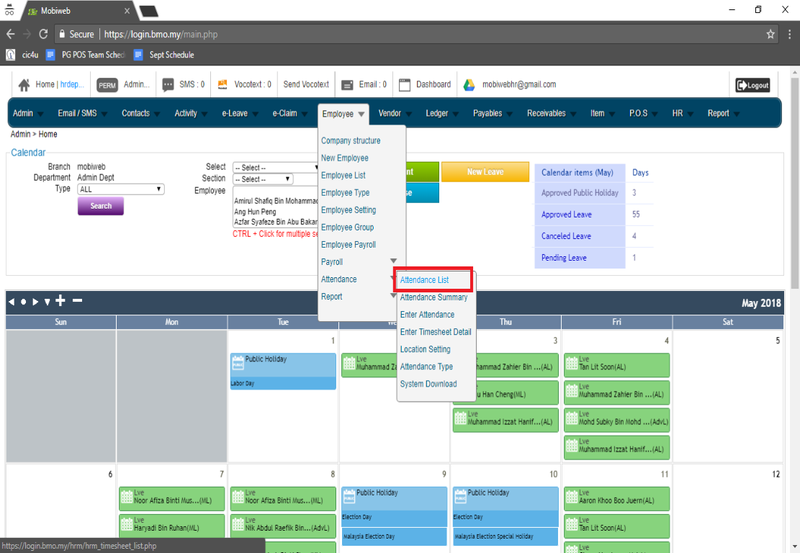 To search a user attendance, admin can select Employee Name and Attendance Date and click Search. Click on Map link to open and view attendance map location. 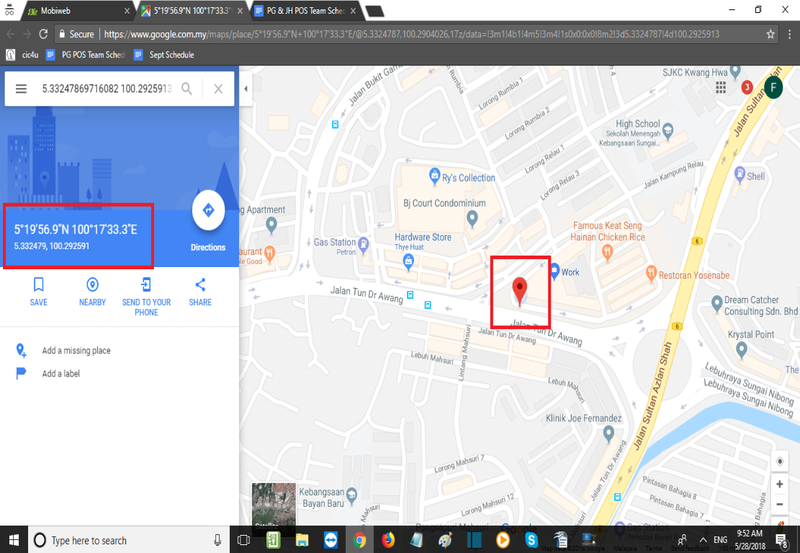 Coordinates will show in Google Map. Admin can see the location staff attendance is set.